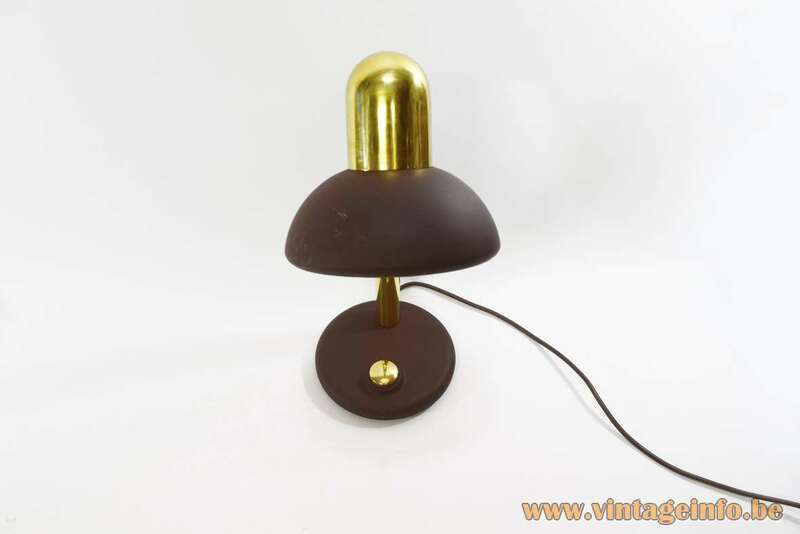 Materials: Brown painted aluminium half round lampshade. 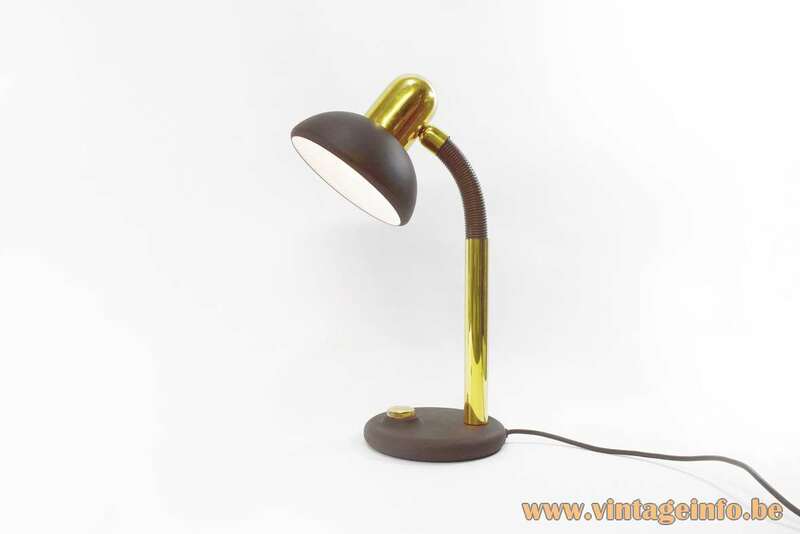 Brass rod, plastic tube, iron gooseneck. Round brown base, cast iron counterweight inside. Big ornamental switch. Some brass parts, metal socket. 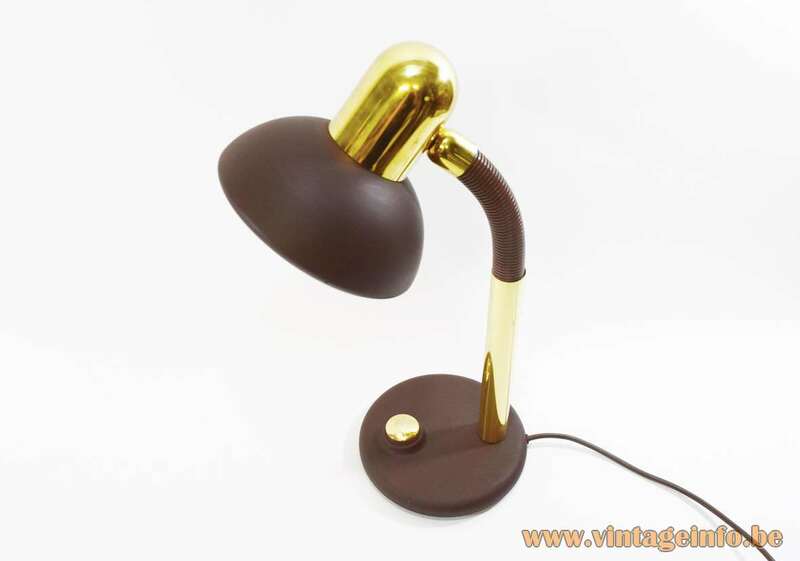 Other versions: Also made in a black edition: the brass parts are chromed and the flexible adjustable goose-neck tube is black. 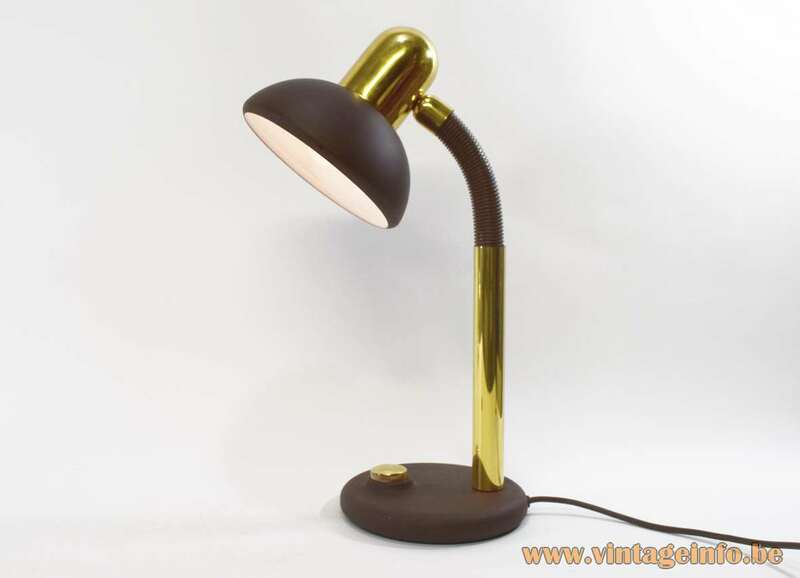 Several table lamps and desk lamps in this style from Hillebrand have won iF-design awards in the 1970s, 10 awards in total since the 1950s. 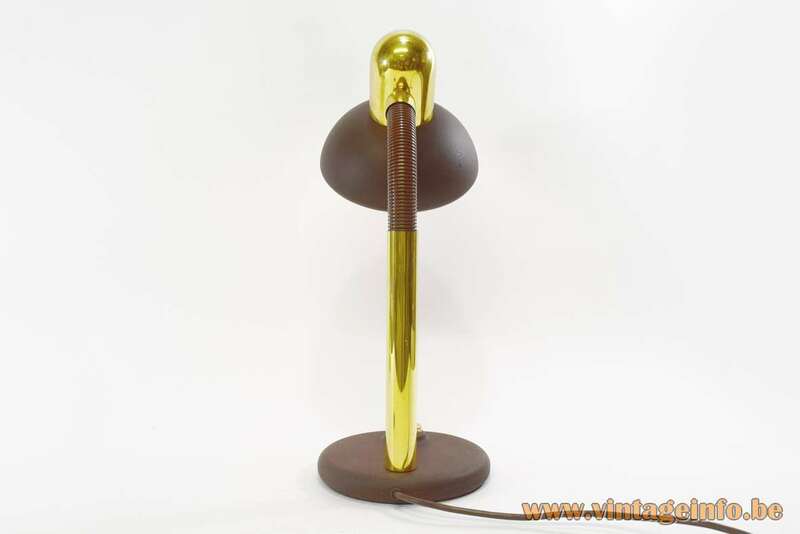 Dr Heinz Georg Pfaender (1928-2015): in 1961 he designed the Oslo table lamp and in 1963 the Bornholm desk lamp. Two design-icons of the Hillebrand company. 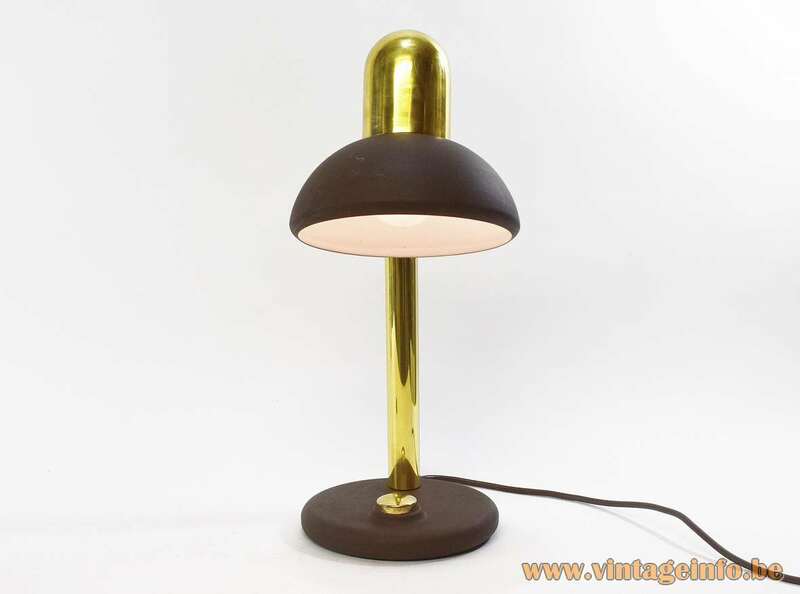 Ernest Igl (1920-2001) designed several lights for Hillebrand in the 1950s.